LOVE captured from a different angle, with a different backdrop. According to an Instagram fan, it truly reminds her of the Notebook, what is a great compliment. It's one of my favorite Love stories! What a great idea, Hot air ballon wedding in Las Vegas! All planned by the talented Regina @ Vegas Wedding Planner. 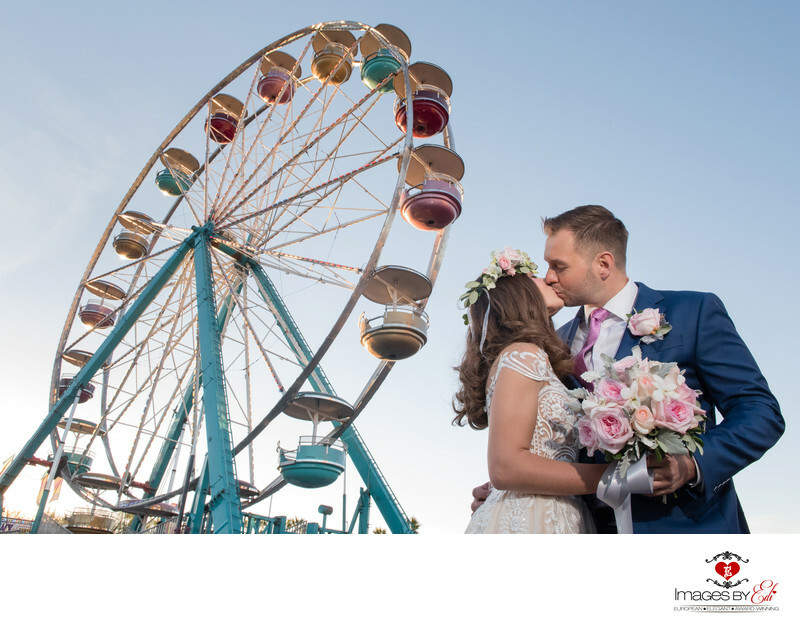 Our couple came all the way from Russia to tie the knot in Las Vegas. Their wedding suppose to be a hot air balloon wedding part of a hot air balloon festival. We find out about the hot air balloon festival just two days before the wedding. Because of the day was a little windy, we didn't take off. The couple had their ceremony inside the balloon. What was kind of cool and unique! This Image was captured right before the ceremony on the fair, surrounded the hot air balloon festival and become on of my favorite photos of the day.